Our Bariatric Seminars are free and open to the general public. 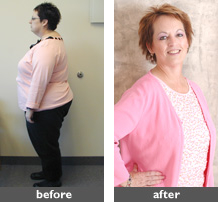 Each seminar provides prospective patients with information about weight loss surgery in general and how Southern Oregon Bariatric Center can help you towards your weight loss and health goals. The seminars occur in Medford at Rogue Regional Medical Center’s Smullin Health Education Center. They take place at various times during the month from 10:00 a.m. – 12:00 p.m., and 7:00 p.m. – 9:00 p.m. For exact dates and locations, please check the calendar listings below. Thank you! To attend, please register below by clicking the date you wish to attend and providing the RSVP information. We look forward to meeting you! Bariatric Seminars are free and open to the general public. Each seminar provides prospective patients with information about weight loss surgery and the Southern Oregon Bariatric Center. Our program coordinator and one of our surgeons will describe the details of the surgical procedure, the comprehensive program, the medical effects of untreated morbid obesity, and the lifestyle changes that accompany weight loss surgery. There will be time allotted for questions and answers. We encourage you to bring a support person. To attend, please register in advance. The seminars occur in Medford at Rogue Regional Medical Center. We look forward to meeting you soon! I walk with ease and a spring in my step, I can cross my legs (I know this is silly, but not if you’ve never been able to), a smile is always on my face, I go to the gym three days per week, I swim three days per week. I now can shop in the same departments as my daughters. I now gladly get rid of clothes that are getting too big, without the fear of gaining weight back, as in the past.